The Whiskey Daisy is a classic whiskey cocktail that has long been a favorite among whiskey lovers and cocktail enthusiasts. It is an easy recipe that uses just a few ingredients and it is a perfect cocktail for any occasion. The 'daisy' cocktail is a true classic when it comes to the thousands of cocktail recipes that we have known and loved over the years. There are many daisies and they differ from one another because of the base spirit used. In the case of the Whiskey Daisy, that base is obviously going to be whiskey but precisely which whiskey to use, well, that is another question. Both rye and bourbon whiskies do exceptionally well in the Whiskey Daisy and those two styles alone have many diverse options. The addition of an orange liqueur adds complexity and depth to the drink and the lemon and syrup bring it all together. The daisy is also topped with just a little club soda, so it is a little more refreshing than some of the other classic cocktails. Pour the liquors, juice, and syrup into a cocktail shaker. Top-shelf and fresh ingredients are going to make a better Whiskey Daisy and it is important to keep this in mind with every decision you make on the ingredients. Though don't let that scare you from trying this iconic drink, it's not hard to make good choices here. The whiskey is probably the most complicated and we have already discussed that rye whiskey or bourbon will be great choices. Within those styles, opt for a premium brand because this is the base of the drink and will guide the entire flavor profile. Grand Marnier is the preferred orange liqueur here and it really is one of the best options. 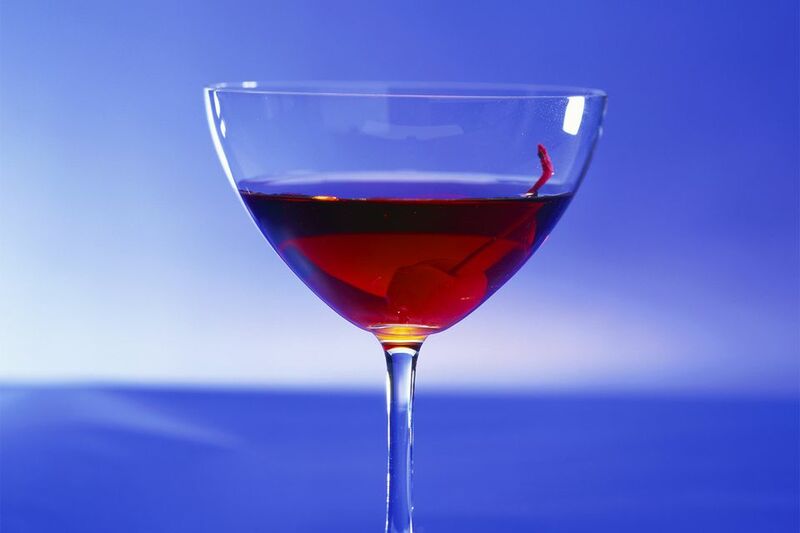 The brandy base adds depth to the drink and there are not many other orange liqueurs that bring the same profile to a cocktail. Fresh lemon juice and homemade simple syrup should be requirements. The bottled (easy-squeeze) lemon juices are simply too tart and will throw off the drink's balance. Homemade syrup is recommended for another reason: it's cheaper! Plain and simple, once you learn how easy and inexpensive it is to make your own simple syrup you will never purchase a bottle at the liquor store again. In this recipe, it is not as important to be picky about the soda. A splash is all that is needed and is there to add a little sparkle so feel free to use any soda. Just make sure it's fresh and still has great carbonation otherwise you are just adding more water to the daisy and that is pointless. As mentioned above, the daisy is a style of cocktail and even though the base distilled spirit is swapped from one recipe to another, it does have common characteristics. Almost every daisy will require an orange liqueur, a citrus juice (either lemon or lime), simple syrup, and a splash of club soda. You can use this universal formula to interpret almost any daisy recipe, so when someone asks for a Gin Daisy or a Brandy Daisy you have a general idea of how to make it. That said, the popular Brandy Daisy does include rum as well, but you get the idea. How Strong Is the Whiskey Daisy? We know that Grand Marnier is 80 proof and we will assume that the whiskey is the same for this example. In this case, the Whiskey Daisy is about average for finished cocktails and weighs in at right around 22 percent ABV (44 proof).